Earlier in the year, I posted about my new love of pom poms. I have always loved them but they were such a pain to make that I usually just made one and gave up. Since finding my amazing pom pom maker though, I can make them in record speed and I have basically pom pommed my whole house. I have therefore come up with five ways to use delightful things at Christmas time. Don’t say I don’t spoil you. 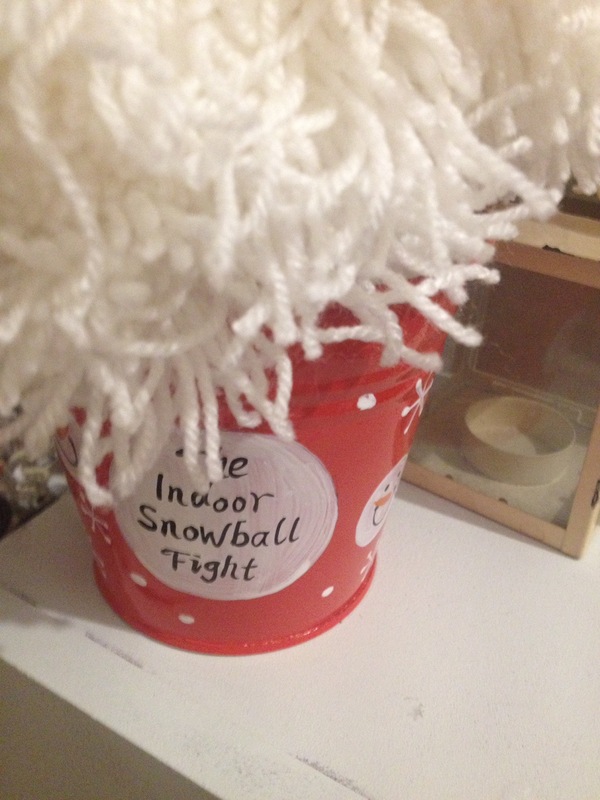 1.Create a number of different sized pom poms in shades of cream and white and with different textures of wool to have an indoor snowball fight. Less mess, less cold and, as long as the baby or the dog don’t eat the pom pom, suitable for all the family. 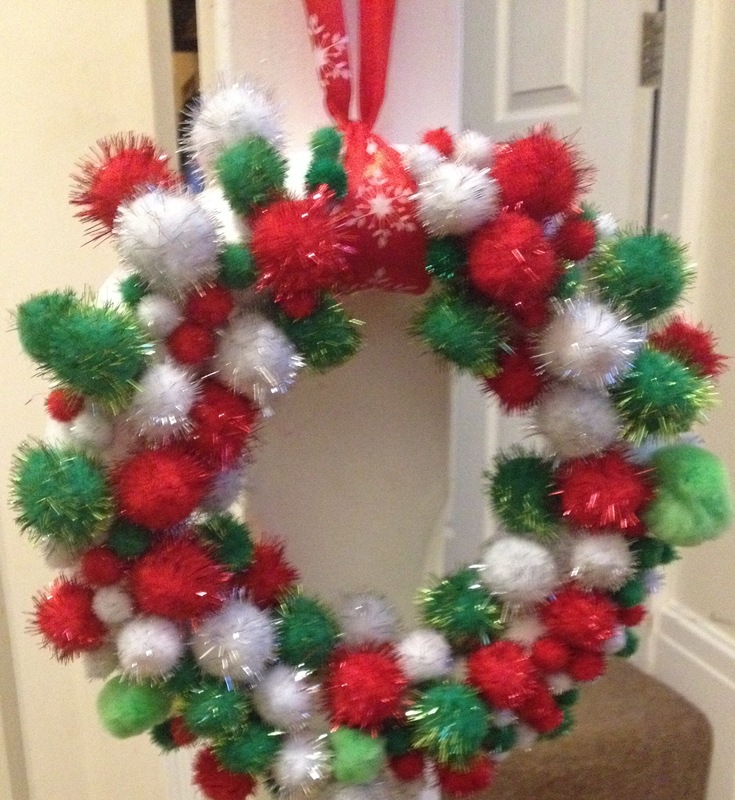 2.Create a pom pom wreath. You can either make wool-style pom poms or purchase these little glittery ones ready made and glue around a foam florists ring in the shape of a wreath. Attach ribbon for hanging before you start and you will be the envy of your neighbours. 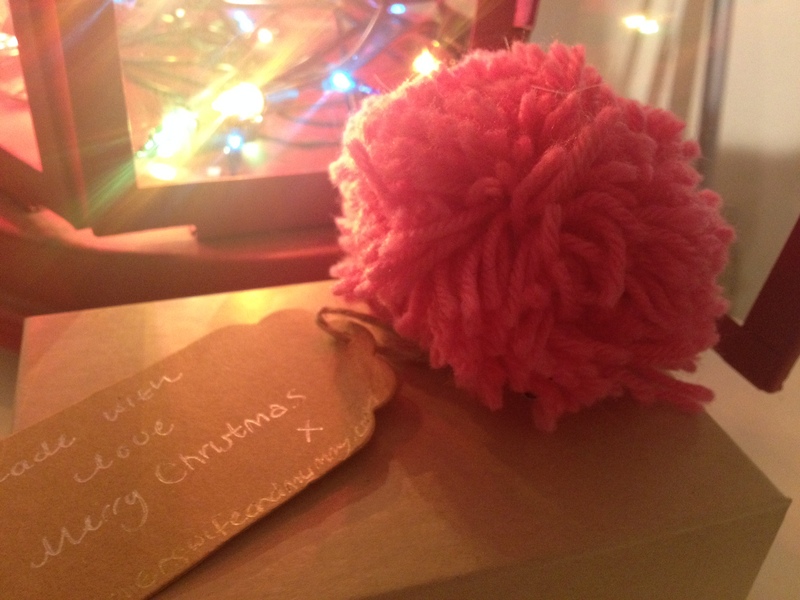 3.Use pom poms as gift tags. How cute does this look? Pom poms could become your gift trademark so you will end up not needing a tag as everyone will know the pom pom present is off you. 4.Use the pom poms as a table centre piece. Either use glass bottles like I did before and add iridescent tinsel and paper straws or make a graduated pom pom. 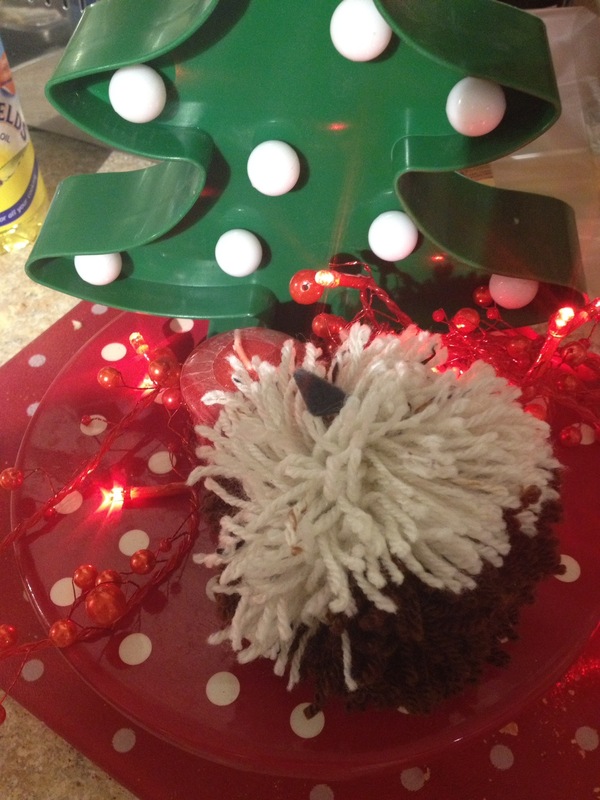 Here I used a brown and a grainy cream to make a Christmas pudding. Add beads and felt and voilà. 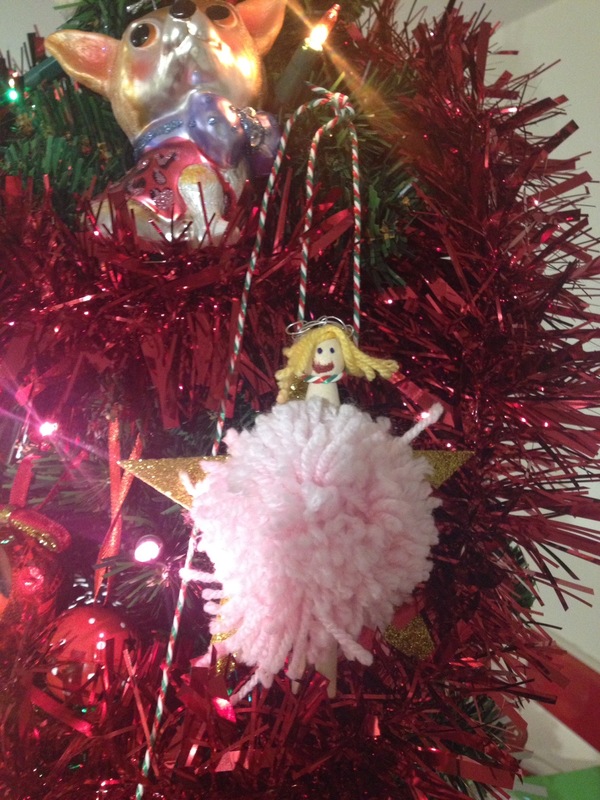 5.My favourite festive pom pom creation is the pom pom sugar plum fairy. I glued wool for hair on the dolly peg, drew a face, twirled wire into a crown and added a pink pom pom and a gold star for her wings. It is worth saying that your pom poms don’t necessarily have to be the traditional Christmas colours. Adapt them to match your own décor. Never let it be said that pom poms cannot be made and used all year round.